Having made a gradual switch during the 15 years since his first album was published from electronica to instrumental variations on ambient and minimalism, Max Richter is among the most commercially successful composers of our time. 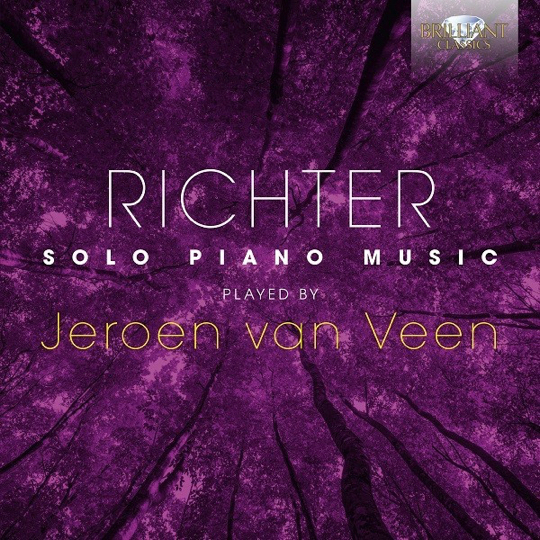 This album of his solo piano music belongs in the genre explored so thoroughly for Brilliant Classics by Jeroen van Veen, whose prolific recording history includes hugely popular albums of Philip Glass (BC9419) and Michael Nyman (BC95112), Ludovico Einaudi (BC94910) and Yann Tiersen (BC95129) and his fellow Dutch musician Jakob ter Veldhuis (BC94873) and himself (BC9454). The appetite for slowly moving, unchallenging, post-Minimalist music is apparently infinite, and so this new album is sure to be a success. Born in 1966, Richter has in the last few years achieved international fame with his recomposed version of Vivaldi’s Four Seasons, which topped the iTunes chart in the UK, the US and Germany. Then last year, came the record-breaking Sleep, an ‘eight-hour cradle song’ which like the Vivaldi mixed live and pre-recorded, electronic and acoustic sounds, to induce and accompany deep slumber. The songs on this album are all shorter, though sharing the somnambulistic mood of Sleep. Vladimir's Blues featured on a BBC documentary series about the deep sea, while The Twins (Prague) was used in a series on Auschwitz, The Nazis and the Final Solution. As Richter’s own programme notes explain, the music is for beginners, based on classical Alberti-style bass figures. Several tracks derive from his albums The Blue Notebooks and Songs from Before; H in New England is extracted from the incidental music written by Richter for the film Henry May Long. Max Richter (born in 1966) is one of the most influential composers of his generation. Electro-acoustic polymath Max Richter defies definition: composer, pianist, producer, remixer, and collaborator, and beyond argument one of the most prolific of contemporary musical artists. Inspired equally by Bach, punk rock and ambient electronica, Richter’s sonic world blends a formal classical training (he graduated from the Royal Academy of Music, and was a pupil of renowned composer Luciano Berio) with modern technology. 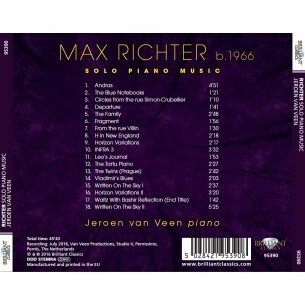 This new recording presents Richter’s solo piano music up to date. 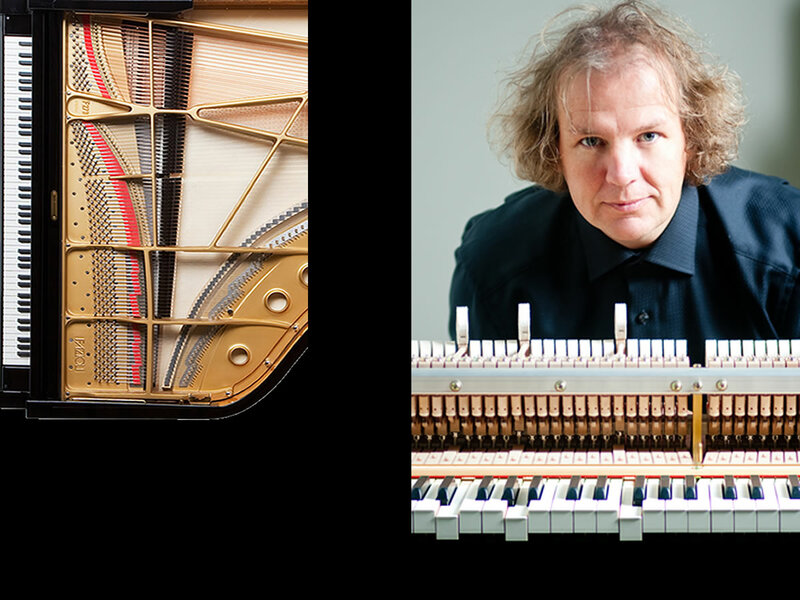 Dutchman Jeroen van Veen is one of the leading pianists of today focusing on Minimalism and championing a new generation of composers, easily crossing borders between musical styles. Jeroen Van Veen (1969) started playing the piano at the age of 7. He studied at the Utrecht Conservatory with Alwin Bär and Håkon Austbö. In 1993 he passed the Performing Artists' Exam. Van Veen has played with orchestras conducted by Howard Williams (Adams), Peter Eötvös (Zimmermann), Neal Stulberg (Mozart & Bartok) and Robert Craft (Stravinsky). He has played recitals in Europe, Russia, Canada & the USA. Van Veen attended master classes with Claude Helffer, Roberto Szidon, Ivan Klánsky and Leonid Hambro. He was invited to several festivals; Reder Piano Festival (1988), Festival der Kunsten in Bad Gleichenberg (1992), Wien Modern (1993), Holland Dance Festival (1998, 2010) Lek Art Festival (1996-2007). Van Veen recorded for major Dutch Radio- and Television companies like AVRO, NOS, IKON, NCRV, TROS/Internet, WTBC-TV & Radio (Florida, U.S.A.) and Moscow Television. In 1992, Van Veen recorded his first CD as Piano duo Van Veen. In 1995 Piano duo Van Veen made their debut in the United States. They were prizewinners in the prestigious 4th International Murray Dranoff Two Piano Competition in Miami, Florida. After this achievement they toured the United States and Canada many times. The documentary "Two Pianos One Passion" (nominated with an Emmy Award 1996) portrays them as a duo. The various compositions by Van Veen may be described as Minimal Music with different faces, Crossovers to Jazz, Blues, Soundscape, Avant-Garde, Techno, Trance and Pop Music. His Minimal Preludes for piano, and his NLXL are some of his most played pieces worldwide. His latest Minimal Piano Concerto Continuum was a great success. In 2015 he premiered his Incanto nr 2 in the Amsterdam Concertgebouw with Sandra van Veen. Currently Mr. Van Veen is director of Van Veen Productions, Chairman of the Simeon ten Holt Foundation, Pianomania Foundation and artistic director of several music festivals. He is also active as Overseas Artistic Director in the Murray Dranoff Two Piano Competition based in Miami. Over the last 25 years Van Veen recorded more than 150 CD’s and 5 DVD’s, mostly for Brilliant Classics. His discography includes: Adams, Einaudi, Glass, JacobTV, Minimal Piano Collections, Nyman, Pärt, Reich, Riley, Stravinsky, Tiersen, Ten Holt, Van Veen, Yiruma and many others. Van Veen is also praised for his productivity some say; ‘the man who records faster than his shadow’.